Tulip flowers are one of the most beautiful flowers on earth. Their presence brings a contentment in life. Fathers day is celebrated in the U.S, as in other countries on 17 June this year, i.e, the third sunday of June. The official flower for Father's Day is Red Roses. Gift Ideas may vary from person to person, and also depends upon the reciever's favourites. The usual gift for the dad will be a tie. Gift him a book, which he might be wanting for a long time. Gift him with flowers of his choice. Gift him a shaving kit. Gift him books with a subscription for a year or two. Buy some red roses and write dad some FatherÃ¢? ?s Day poems. Plan to spend the entire day with dad. Make a reservation at dadÃ¢? ?s favorite restaurant for after the event and have a good chat. Think of activities that dad would enjoy, whether it is going to a baseball game or to a museum, and get tickets in advance so you donÃ¢? ?t have to waste any time standing in line. 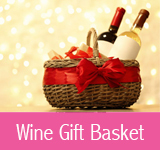 Gift baskets are a great way to present a lot of little gift items that dad will enjoy. The different array of colored Tulips, swaying happily in the wind. A fascinating time-lapse of a hibiscus flower dying. Here is an interesting information on Hibiscus Flower: Images of the Hibiscus flower were found on Chinese porcelain plates dating back to the Ming dynasty (1368-1644). Hibiscus also appear on ancient Chinese silk tapestries. Flowers of different displaying colors makes a person elated. Flowers show our moods and emotions. Memorial Day is a day of remembrance for those who have died in service to a country. Memorial Day is celebrated this year on Saturday May 26th. Memorial flowers are Carnations, White Daisies,and Gladiola. Memorial Day was originally called as Decoration Day. Memorial Day began during the Civil War when organized women's groups in several towns throughout the South decorated the graves of the Confederate war dead with flowers, wreaths and flags. Memorial Day was officially proclaimed on May 5th, 1868 by General John Logan, national commander of the Grand Army of the Republic, in his General Order No. 11, and was first observed on May 30, 1868. Memorial Day is celebrated at Arlington National Cemetery each year with a ceremony in which a small American flag is placed on each grave. Traditionally, the President or Vice President lays a wreath at the Tomb of the Unknown Soldier. In the U.S, the occasion is also marked in almost every State on the last Monday in May. Many southern states, however, have an additional, separate day for honoring the soldier as Memorial Day: January 19 in Texas, April 26 in Alabama, Florida, Georgia, and Mississippi; May 10 in South Carolina; and June 3 (Jefferson Davis' birthday) in Louisiana and Tennessee. Can you help me identify this plant. The flowes seem to attract flies and smell bad. A Revolution in American Fathering: This is about fathers crying, cooking, being afraid, braiding hair, waiting with children at the doctor's office, the principal's office, after school at the soccer field. The bottom line is, more and more men are choosing to be hands-on, hearts-on fathers than ever before. Fathers Are Essential: Scores of research studies have documented the positive effects of involved fathers. Children in Single-Mom Households at Risk - What do we do about it? : The fact that children raised by single mothers are at increased risk is found over and over again. Of Statistics, Single Mothers and the Politics of Language Studies show that, overwhelmingly, children being raised in homes with both a mother and a father enjoy a lot of benefits that children from single parent homes do not. In a recent article, there were facts about the increasing American fathers, who were responsible fathers. Here are some facts about them. Today a quiet but thoroughly monumental revolution is taking place in the American family. The number of fathers solely responsible for the care of their children is growing at a rate almost twice that of single mothers. Fully one-fifth of single parents today are single fathers -- more than 2 million of them. This is up from 1970, when single mother families comprised approximately 90 percent of the single family population. Among minorities, the rate of increase is as high, or higher: between 1970-1995, the rate of African-American single dads increased 329%; for Hispanic single fathers, 450%. And though the media almost always focus on mothers when portraying working single parents, nearly 30 percent of working single parents are now men. In a recent article I read an interesting article, that Father's day was being celebrated from 1909 onwards. Here are the facts I would like to share with you. In 1909, an eastern Washington state citizen, Mrs. John B. Dodd (Senora Louise Smart Dodd), proposed the idea of Fathers Day. She wanted a special date to be set to honor her dad, William Smart. A Civil War veteran, Mr. Smart was widowed. His wife had died while giving birth to their sixth child, and Mr. Smart was left to rear his six children on their rural farm, as a single parent. One Sunday Mrs. Dodd heard a sermon that stressed the importance of setting aside a day to honor mothers. She began to think about her fatherÃ¢? ?s sacrifice, and reflected on what her father meant to her. Senora Louise admired her dad for his years of commitment to the six of them, especially since he had taken care of them by himself. With the support of the Spokane, Washington Ministerial Association and the YMCA, their efforts rendered success. Fathers Day debuted in Spokane, Washington on June 19, 1910. The rose was chosen as the Fathers Day flower, white for the deceased father and red for the father that is living. After the Spokane celebration, the Fathers Day observance spread to other cities and towns throughout the United States. In 1924, President Calvin Coolidge supported Fathers Day as a national tradition, but it wasn't until 1966 that President Lyndon Johnson signed a presidential proclamation ordering the third Sunday in June to be appointed as Fathers Day. 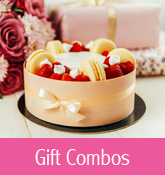 People gift their fathers with cards, flowers, and families taking their dads' out for delicious meals, or for a picnic etc. HI there, I took these photos at the Chicago Chrysanthemum show, and now I can't find the names of them. Does anyone know? I used to be one of those who were scary of online shopping since it involved using my credit card and revealing my credit card number. I was so because we never know of its misuse. As a result I never bought anything online. This Mothers Day, I was away from my mom on some project in Hannover, Germany and wanted to gift her some flowers. I had no other choice but to go for online florists. 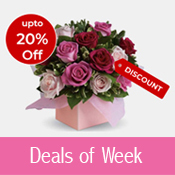 I researched a lot on the internet to select a secure online florist. Shortlisted a handful of online florists with a high grade encryption (256 bit) and such other secure certifications and placed an order for Mothers Day Carnations in a Vase from Pickupflowers. Further, I went for a delivery on 11th of May instead of 13th to make sure that my order is delivered without being affected by the peak sales and flower deliveries of Mothers Day. I called my mom on 12th only to find that the flowers were not delivered. That is why I prefer not to shop online. Immediately, I mailed the florists complaining about the non-delivery of flowers and asked them to refund my money back. In response, I got a reply back from them (Pickupflowers) - "Dear Brad, Thanks for the patience. We have just received a response from our local florist and they have confirmed non-delivery of the order due to technical problems. We have immediately reprimanded the local florist for missing the order delivery and have asked them to deliver an upgraded arrangement with a note of apology, which should get delivered anytime today. As our service has not come to the service standards we have set for ourselves, we would be delivering the upgraded arrangement free of cost and would be refunding the amount we charged you. We sincerely apologize and promise not to repeat this. Yours Truely, Sai Pickupflowers.com"
Add they did it!! Hats off to the great service and the wonderful Replace and Refund Policy of Pickupflowers.com. Can you identify this small bulb? Daffodil Time lapse. Good Video Clip. I came across a site which showed that there are number of online flower sites, which slightly vary in their performance. AlertSite, a leading provider of web performance measurement, systems monitoring and security vulnerability scanning, today revealed its two-week monitoring test of the leading ten retail flower web sites. Over a two-week period, AlertSite measured ten leading flower retail Internet sites and tested them for availability and speed. AlertSite monitored each site over 11,000 times from three locations: Atlanta, Chicago and San Francisco. If you are thinking about sending Mom a bouquet for Mother's Day, make sure you go with a trusted delivery service. The Good Housekeeping Institute evaluated 4 big-name delivery services but found only one that really delivered. The flowers were evaluated by the Good Housekeeping Institute, a panel of volunteers and floral designer RenÃÂ© Hofstede of Mille Fiori Flowers. Martha Stewart Flowers, Flowerbud.com, 2G Roses and Calyx & Corolla were tested using both their 800 numbers and their Web sites. The average cost: $70 for a mixed bouquet and $11 for a vase. Martha Stewart Flowers.com got raves for its design, but points off for execution. The design, the combinations of the flowers as well as the tiapericane berries, was definitely nice. But the way they were sent, the roses were too open, so the petals were very damaged in the process, says Rene Hofstede, Mille Fiori Floral Design. The overall winners? The $79 bouquets and vases from Flowerbud.com. They decided 'ok, let's send green flowers and develop them on the vase, so that way they don't have all the damage but you do get a very beautiful bouquet after a few days of putting them in a vase, explains Hofstede. Good Housekeeping says keep in mind the direct-from-grower bouquets did not come vase-ready, so if you order some for Mom, she will have to trim and size them. In the US, People agree with the foreign encroachment. "There used be over 100 rose growers in the state and now there are 11," they said. "And we are all growing by hydroponics." "We can't compete with imports," Neve a nursery owner said. "Those flowers are loaded with pesticides that California growers can't even think about using. In addition to that problem, our cut flowers are over-produced because of the imports." All the flowers in huge stores such as Costco are imported. This impacts florists and supermarkets by the proliferation of flowers in non-floral markets, he said. "If we could average 10 percent more profit we could be in the same position as we were 30 years ago," he said. That' when we were making good money. "But we can't allow other countries to come in and impact our bottom line in the name of free trade. How can you compare foreign labor costs of $3 an hour compared with California's labor costs of $12 an hour?" Neve agreed the industry is at a low point and there are not enough voices in this country to make a difference. California growers are not mom-and-pop operations, but they are not huge compared with the wealthy players in South America. The people believe that the flower industry is stable. It is the time to say thanks and show gratitude for our beloved mothers on Mothers day. Mothers day is celebrated through out the world on different days. People or Children thanks their mothers for all the hardwork she did to raise them and tranform them into a responsible citizen. There are some facts and figures about Mothers in US on Mothers day. There are some facts and Figures about Mothers day. In the United States, there are about 82.5 million estimated mothers. Wishing mothers on Mother's Day through telephone is widely seen. In the US, 82% of women ages 40-44 are mothers. Mother's Day is the busiest day of the year for many restaurants. If you love your mother, buy her carnations. If you want to help support research for MS (multiple sclerosis), buy your carnations from the group of volunteers who will be selling them in Golden on Friday and Saturday, May 11 and 12, just in time for MotherÃ¢ÂÂs Day. In Western culture, the carnation is a flower that expresses love, fascination and distinction. The pink carnation symbolizes a motherÃ¢ÂÂs undying love and is the official emblem of MotherÃ¢ÂÂs Day. The flower is also CanadaÃ¢ÂÂs oldest and most recognized symbol of hope in the search for a cure for MS.
MS is a disease that comes about when a personÃ¢ÂÂs immune system malfunctions and begins to attack the nervous system. Though people with MS often have a normal life-span, the disease can cause a wide range of problems, including vision problems, difficulty walking, slurred speech, pain, numbness and tingling. MS touches a lot of people in a lot of ways because itÃ¢ÂÂs a disease that affects everyone differently. ItÃ¢ÂÂs out there, but many people donÃ¢ÂÂt know itÃ¢ÂÂs out there. Though the group hopes to raise some money, the main goal of the carnation campaign lies in promoting community awareness, Kamstra says. This is an awareness campaign more than anything, she explains. Every dollar raised is more than weÃ¢ÂÂd hoped. Just getting back the price of the flowers would be awesome. They are bringing in 900 flowers and selling them around town in bunches of three for $5, or a donation. Also, Runa Bjarnason-WilsonÃ¢ÂÂs class at Lady Grey Elementary School will be selling carnations for $1 each. Last year, all of the flowers were gone on the first day of the campaign and the group raised $871.16. They already have pre-orders for this yearÃ¢ÂÂs flowers, so be sure to get your flowers early. So buying carnations makes your mother happy and also inturn heling the organization by buying them. In a recent read article, I read about the tiny flowers of Nairobi. In and around overpopulated Nairobi, one can spot the tiny purple and white flowers of the knotweed, or the bright yellow blooms of the blackjack weed or the elongated appendages of the devil's horsewhip. But this is a story of a different kind of flower, which also comes in many colors but lacks the beauty of the many varieties discovered in nature by Sapieha. All over Nairobi, and all over Africa, are ugly artificial blooms that mar the landscape and that environmentalists want plucked up and removed. These flowers are cheap, thin plastic bags that are tossed to the ground by consumers. This kind of litter has reached a critical mass in Kenya, clogging streams, choking animals and piling up into little mountains of disease. These bags are different from the ones that Westerners carry their groceries in from the neighborhood supermarket; the Kenyan bags are so thin they barely hold a few mangoes without tearing. Their delicate nature makes reuse impossible and leads to their frequent introduction into nature, where experts say they tend to remain without breaking down for somewhere around 1,000 years. The bags are so pervasive in this part of the world that many have taken to calling them "African flowers," as if they were local varieties of roses or bougainvillea. In a recent article, I a came across the growing Chinese horticutural industry. The Chinese horticulture industry is keen to promote the development of its flower industry. China's annual export volume of flowers is only around AED 367 million ($100 million), and the country is ranked 22nd in the world. China ranks number one in the world in terms of planting area of flowers. The Chinese government is making concerted efforts to export cut flowers, aimed not just at developing a new business to take on the world but also at redeveloping the social and economic landscape in South-western China through the Chinese Flower Association. China plans to become the biggest flower producer and exporter in Asia in the next ten years and possibly the worlds second largest after the Netherlands. Last modified on May 28, 2007 | TFE v1.2 | © 2005-2017 Gifting Inc.